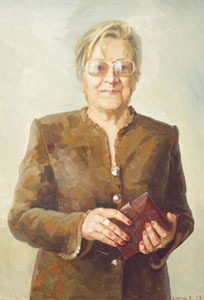 Portrait of L.P. Holodovoy. .
2003, oil painting: oil on canvas, 60x80 cm (23 1/2"x31 1/2"). 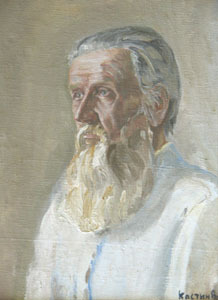 Portrait of the old man. .
1979, oil painting: oil on canvas, 50x60 cm (19 3/4"x23 1/2"). 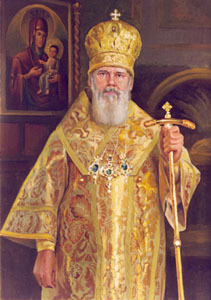 Portrait of architect-restorer V.I. 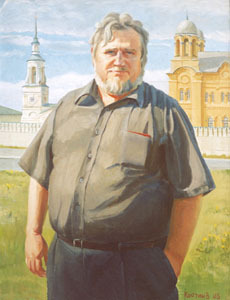 Siminenko. .
2003, oil painting: oil on canvas, 80x100 cm (31 1/2"x39 1/4"). 1998, oil painting: oil on canvas, 65x90 cm (25 1/2"x35 1/2").